In a thriller to close out a great season, the St. Onge Recreation Super Stock drivers each battled for the win. At the end, though, it was Mike Weeda edging out Coltin Everingham to become the ninth different feature winner this season at Sunset Speedway. Meanwhile, Jordan Howse drove through the field after an early race pit stop to score a fourth-place finish and clinch the 2017 division championship. Stefan Semeraro won the first heat ahead of Coltin Everingham, Chris Allard, Dan Archibald, Jordan Howse, Gerritt Tiemersma, Dustyn Mombourquette, Jade Franklin, and Jay Cutting. Ryan Semple won the second qualifier ahead of Miles Tyson, Frank Davey, Dennis Cybalski, Brandon Passer, Herb Walters and Mike Weeda. Notably, Weeda pulled off partway through with a problem, while Justin Holmes’ car failed to start. Jordan Howse won the third heat ahead of Mombourquette, Semeraro, Everingham, Tiemersma, Allard, Archibald, Cutting, and Franklin. Mike Weeda won the fourth qualifier ahead of Walters, Semple, Holmes, Cybalski, Tyson, Passer and Davey. Come feature time, Frank Davey started pole ahead of Brandon Passer, Dustyn Mombouquette, Herb Walters, Gerrit Tiemersma, Stefan Semeraro, Coltin Everingham, Dennis Cybalski, Chris Allard, Mike Weeda, Ryan Semple, Jordan Howse, Jay Cutting, Justin Holmes, Dan Archibald, Miles Tyson, and Jade Franklin. Davey jumped out to the early lead with Mombourquette and Passer side-by-side for second. Passer got the spot on Lap 2, with Walters following him through a lap later. Throughout the field, there were battles for position, including a mid-pack three-wide battle between Semple, Tiemersma, and Cybalski. Contact would see Cybalski hit the frontstretch wall, with the caution being flown. However, with all three drivers continuing without issue, it was dubbed no harm or foul as everyone got to keep their spots. With 27 laps to go, Davey led Passer, Walters, Mombourquette, Semeraro, Tiemersma, Everingham, Cybalski, Weeda, Allard, Howse, Semple, Holmes, Tyson, Cutting, Archibald and Franklin. The restart saw a battle for the lead between Davey and Passer, with Passer taking the top spot on Lap 6. Behind him, Davey and Mombourquette battled side-by-side for second, with Mombourquette taking the spot on Lap 7. Walters followed him through a lap later for third, along with Weeda as Cybalski made his way down pit road. Unfortunately, Walters’ strong early run came to an end on Lap 10 as he’d stop in turn four, drawing the second caution. Under the yellow flag, a bunch of drivers headed down pit road for adjustments and cosmetic repairs – Howse, Franklin, Cutting, Davey and Semeraro. 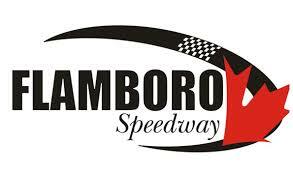 So with the field shuffled and 19 laps left to go, Passer led Mombourquette, Weeda, Everingham, Tiemersma, Allard, Semple, Tyson, Archibald, Holmes, Franklin, Semeraro, Davey, Cutting and Howse. The restart saw a battle for the lead between Passer and Mombourquette, with Passer getting the top spot on Lap 13 ahead of Weeda as Mombourquette battled Everingham for third ahead of Semple. Everingham got the spot at halfway, bringing Semple through with him. The lead would change hands on Lap 17 with Weeda taking over the top spot, as Everingham got alongside Passer for second. Everingham got the spot on Lap 18, with Semple tagging the back of Passer. Semple then moved through for third a lap later ahead of Passer, with Mombourquette rounding out the top-five. Allard then passed Mombourquette on Lap 21, bringing Tiemersma and Archibald through with him. Ultimately, Mombourquette made his way down pit road, done for the night. Behind Archibald in seventh, Howse would get by Semeraro for eighth with eight laps to go. He then got alongside Archibald for seventh a lap later as he continued to work his way back up through the field. As Howse looked to challenge Tiemersma for sixth, the caution flew for debris on the frontstretch after contact between Archibald and Semeraro; notably, Franklin ran the debris over. On the restart with five laps to go, Mike Weeda and Coltin Everingham went back and forth, remaining side-by-side with each pass by the flag stand. Coming for the checkered flag, it’d be Weeda getting the win by just a bumper ahead of Everingham, or 0.030 seconds. Ryan Semple crossed the finish line in third, while Jordan Howse placed fourth to capture the 2017 St. Onge Recreation Super Stock Championship. Brandon Passer finished fifth, followed by Chris Allard, Dan Archibald, Stefan Semeraro, Gerritt Tiemersma, and Justin Holmes. Jay Cutting placed 11th, followed by Frank Davey, Miles Tyson, Jade Franklin, Dustyn Mombourquette, Herb Walters, and Dennis Cybalski.